Job hunting is hard. Many job seekers endure isolation, rejection and depression. It’s easy to see how it can get you down. 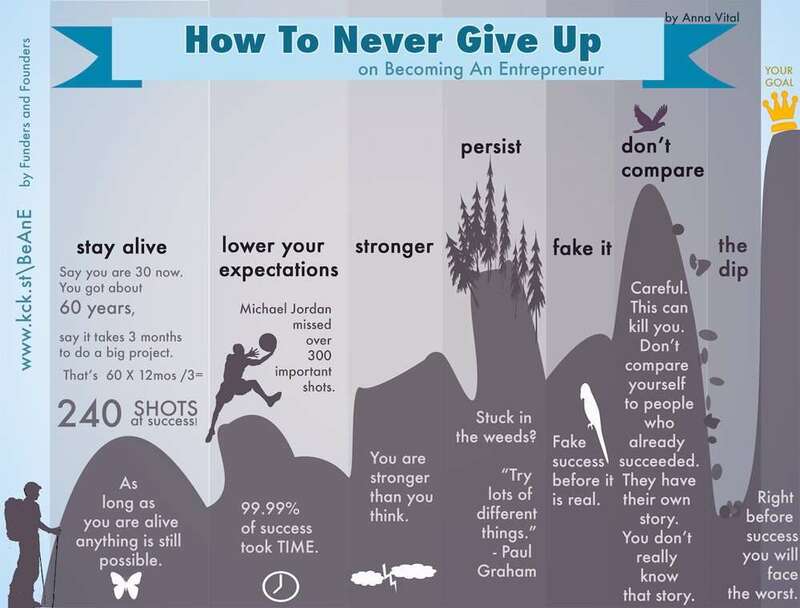 Entrepreneur prepared the following infographic called “How to Never Give Up” for entrepreneurs, but the lessons (like right before success, things look the worst) are equally applicable to job seekers as well.